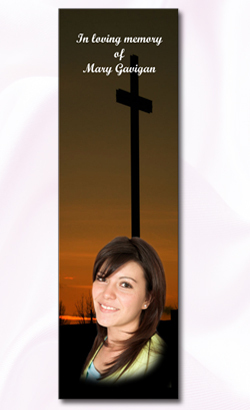 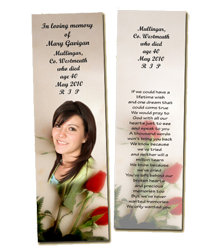 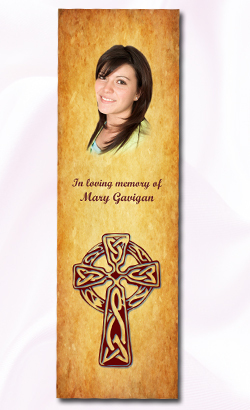 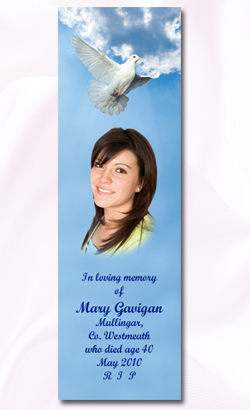 Lasting Memorial Bookmarks Professionally and Personally Designed for you. 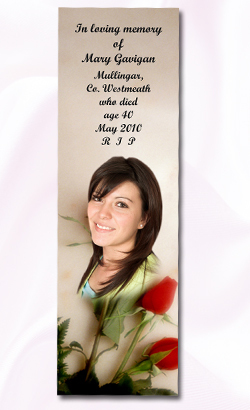 Beautiful Memorial Bookmark Cards can be fully customised to your needs, you may choose one of our designs or contact us and we will design a unique bookmark using your pictures and verses, poems or prayers, all available from Living Memorial Cards. 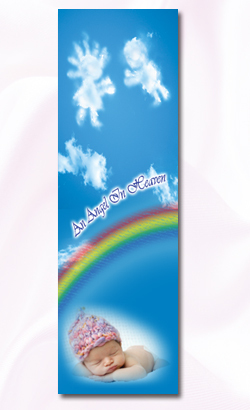 We can also supply Bookmark Card Holders to match your purchase, contact us for prices. 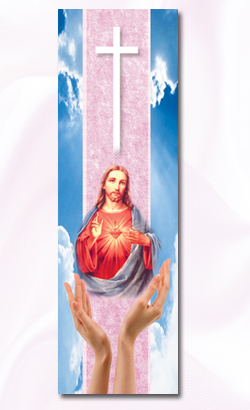 Approx size: 59mm x 195mm – price includes envelopes and delivery.